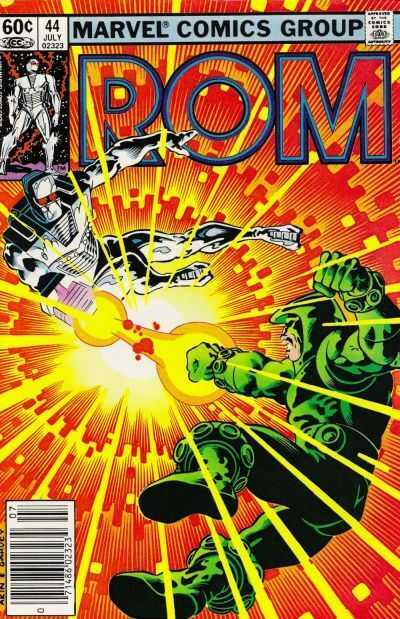 "...the first comic book series follows 'Rom', an earthbound 'cyborg' from a utopian society on the planet 'Galador', his defeat by the invading 'Dire Wraith' alien race and the continuation of their battle on Earth. 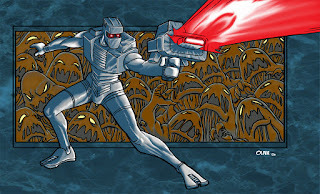 "Unlike the technologically advanced 'Galadorian' civilization, the Dire Wraiths rely primarily on dark magic and their power to change their appearance. 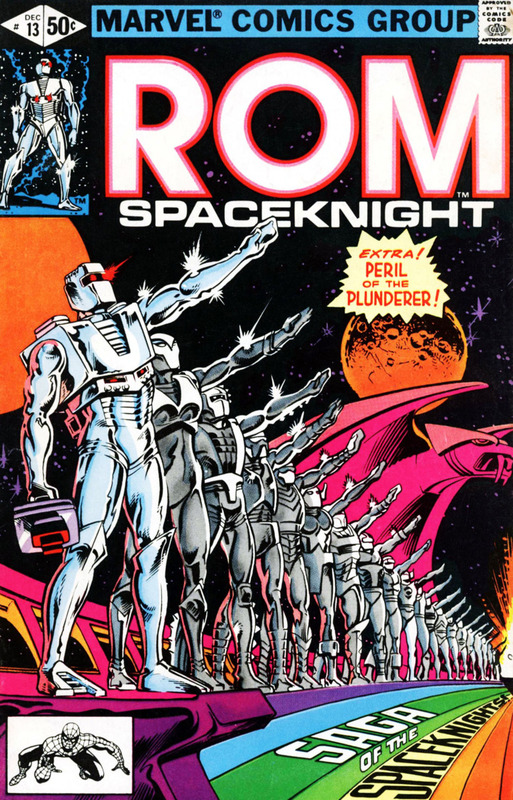 "Years before Rom's arrival on Earth, Galador is threatened by a fleet of ships manned by the Dire Wraiths. Galador's ruler, the 'Prime Director', calls for volunteers to be transformed into 'Spaceknights', cyborg warriors that can defend the planet from the invaders. "The volunteers are promised that their 'humanity' (body parts) would be removed to accommodate 'bionic' armor. 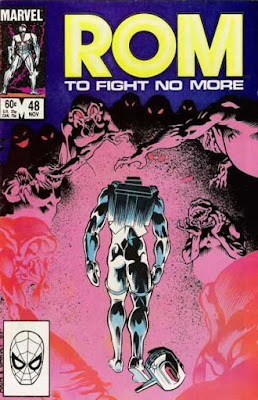 then preserved and restored after the danger was over. 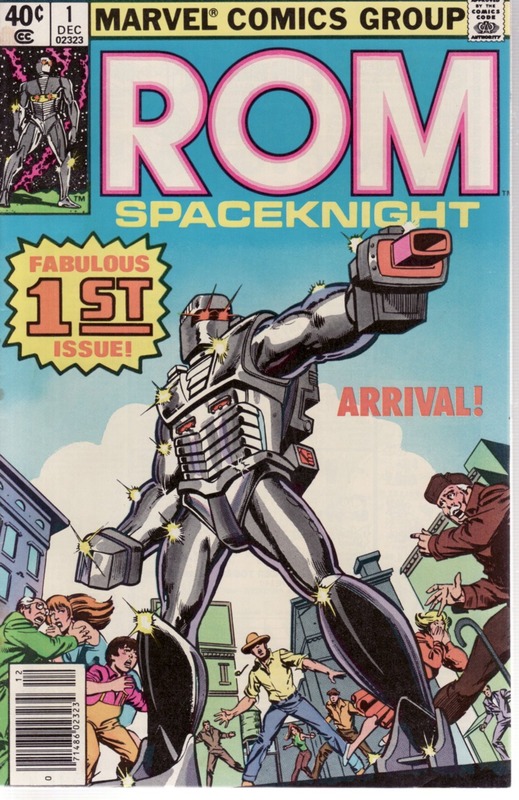 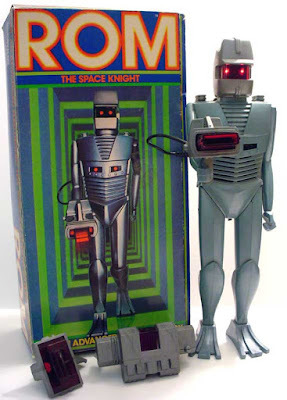 "Rom was the first to volunteer, and was transformed into a large, silver humanoid that at first glance appeared to be totally robotic. 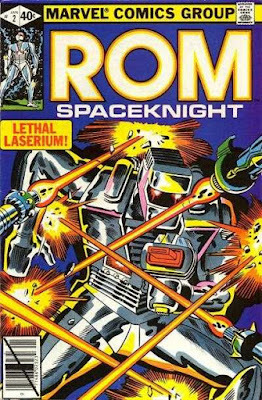 Rom was given Galador's greatest weapon - the 'Neutralizer' - which on one setting could banish the Wraiths into the 'Limbo' dimension. 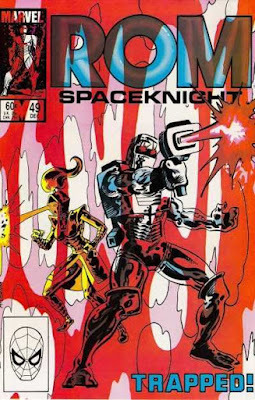 "Inspired by his example, a total of 1,000 Galadorians volunteered and were transformed into Spaceknights, each with his or her own unique armor, powers and code names. "The Spaceknights succeeded in stopping the Dire Wraith invasion, although Rom decided to follow the remnants of the fleet back to 'Wraithworld', orbiting a black sun. 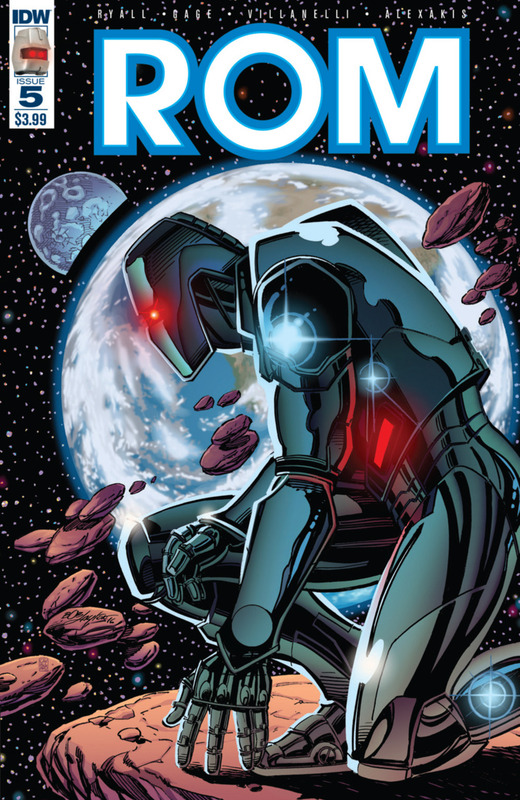 "The Dire Wraiths panicked, and after a futile counter-attack abandoned the planet and scattered throughout space. 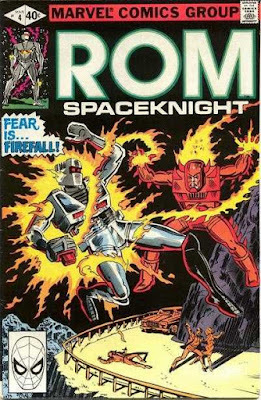 Unable to stop Rom, the Dire Wraiths successfully used their sorcery to trick him into allowing their escape. 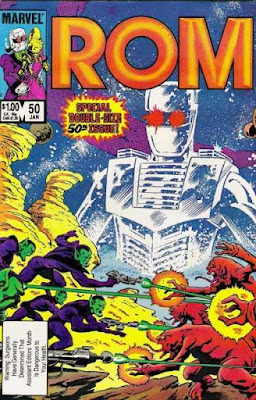 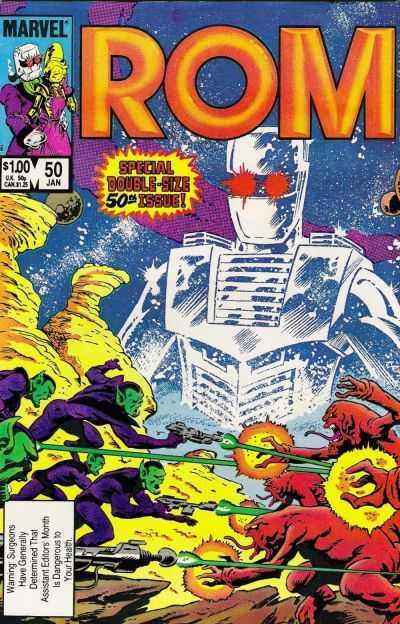 "Rom now felt responsible for spreading the Dire Wraiths' evil across the universe, and swore he would not reclaim his humanity until all Dire Wraiths had been vanquished..."